The celebration, which was created by Dr. Maulana Karenga in 1966, always begins on Dec. 26 and lasts for seven days until Jan. 1 of the New Year. For those who are unfamiliar, the name of the week-long celebration is derived from the phrase "matunda ya kwanza," which means "first fruits" in Swahili—the most widely spoken African language. 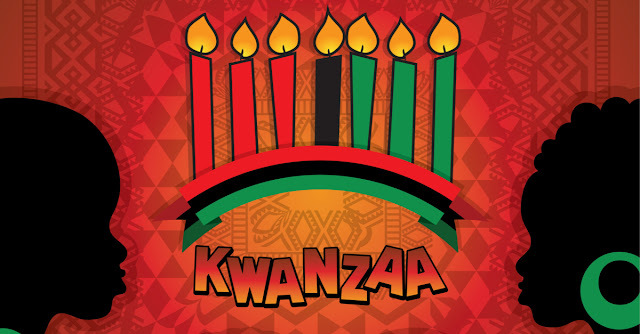 Each of the seven days of Kwanzaa is associated with a different African principle. The first of these principles, celebrated on the first day of Kwanzaa, is Umoja, the Swahili word for “unity.” To celebrate, participants typically gather together to light one of the red, black or green candles on the Kinara, the official candleholder associated with the celebration, and talk about the application of unity in everyday life. Similarly, for each new day, a different principle is discussed. In order of their celebration, the remaining principles of Kwanzaa’s Nguzo Saba (Swahili for “seven principles”) are Kujichagulia (“Self-Determination”); Ujima (“Collective Work and Responsibility”); Ujamaa (“Cooperative Economics”); Nia (“Purpose”); Kuumba (“Creativity”) and Imani (“Faith”). Often, the ceremony includes an offering of libations to the ancestors who have gone before. At the households of my parent’s similarly minded friends, we’d often gather on the first day of Kwanzaa to fellowship and share a communal meal. The children, myself included, were encouraged to stand in front of everyone and talk about our interpretations of the various principles and how they affected our youthful lives. Being kids, we would always hide in order to get out of having to give a speech in front of everyone but it never worked. Looking back, I appreciate that it encouraged us, even as children, to interpret the world from our perspective—to value our point of view. My favorite principle was always Kuumba (creativity), perhaps for obvious reasons. Early in life, I took to creative pursuits like ballet and painting, before I settled into a creative career as a writer. When I got older, I noticed that Kwanzaa was always being criticized. I saw that Dr. Karenga making pubic appearances for the 50th anniversary of his holiday and, in response, I saw several Facebook posts decrying him as a criminal and the holiday itself as fake. To be sure, Kwanzaa was invented but all of the major holidays, including Christmas, were also invented, which begs the question what makes one fake and not the others? Born Ronald Everett, Dr. Karenga studied at UCLA where his education in African-related subjects inspired him to change his name to Karenga (Swahili for "keeper of tradition") along with the title Maulana (Swahili for "master teacher"). After earning a bachelor’s and master’s degree from UCLA, Dr. Karenga was spurred to action after an incident of police brutality against a Black man resulted in the Watts Riots of 1965. In addition to creating a community organization called US (for “us black people”) Dr. Karenga also created Kwanzaa to, "give Blacks an alternative to the existing holiday and an opportunity to celebrate themselves and their history, rather than simply imitate the practice of the dominant society." Soon afterwards, Dr. Karenga was placed on a watch list by the FBI’s notorious COINTELPRO program, which had been tasked with disrupting the power of “dangerous revolutionaries” like Martin Luther King, Jr. and the Black Panther Party. In 1971, Dr. Karenga was arrested and sent to prison for assaulting a member of his US organization, a charge that he has denied, instead implying that it was manufactured to derail his prominence as a political figure. 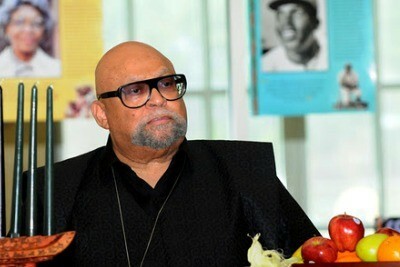 “We reflect on the expansive meaning of being African in the world, on the context and issues of our times, and on our way forward in struggle to forge a future responsive to our needs and interests as well as those of the world,” Dr, Karenga said in a recent statement acknowledging the milestone 50th anniversary of Kwanzaa last year. Even President Obama has been quoted as saying that, Kwanzaa is a time to, “reflect on the rich African-American culture,” that we bring to American culture. In today’s climate of burgeoning intolerance and hatred, I think it’s critical for us to support any traditions that resonate with our collective history and have the potential to propel us forward as a people. Happy Kwanzaa!